The American Civil Liberties Union is warning people traveling to Texas that they should expect to possibly have their constitutional rights violated. The “travel alert,” issued Tuesday through a news release by the ACLU, comes just days after Gov. Greg Abbott signed Senate Bill 4. SB4 gives local law enforcement in Texas the power to investigate anyone’s immigration status during even routine traffic stops, which the ACLU says could lead to widespread racial profiling and possibly illegal arrests of both U.S. citizens and non-citizens alike. “The ACLU’s goal is to protect all Texans and all people traveling through Texas — regardless of their immigration status — from illegal harassment by law enforcement,” Lorella Praeli said. Praeli, who is the ACLU director of immigration policy and campaigns, said in the release that the state is deep with people with Mexican roots and home to immigrants from all walks of life. “Many of us fit the racial profile that the police in Texas will use to enforce Trump’s draconian deportation force,” Praeli said in the statement. U.S. Rep. Vicente Gonzalez also released a statement Tuesday regarding Abbott’s signing of the bill. Gonzalez said the signing would only hurt and place an undue burden on local communities and law enforcement. 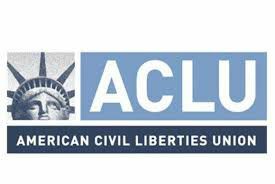 Despite the fact that the law does not take affect until Sept. 1, the ACLU believes some law enforcement officers could start treating residents and travelers “unfairly,” immediately, the release states. • If you’re not a U.S. citizen and an immigration agent requests your immigration papers, you must show them. If you’re over 18, carry your immigration documents with you at all times. If you don’t have immigration papers, say you want to remain silent. • Do not lie about your citizenship status or provide fake documents. • Upon request, show police your driver’s license, registration, and proof of insurance. • If an officer or immigration agent asks to search your car, you can refuse. But if police believe your car contains evidence of a crime, they can search it without your consent. • Both drivers and passengers have the right to remain silent. If you’re a passenger, you can ask if you’re free to leave. If yes, silently leave.